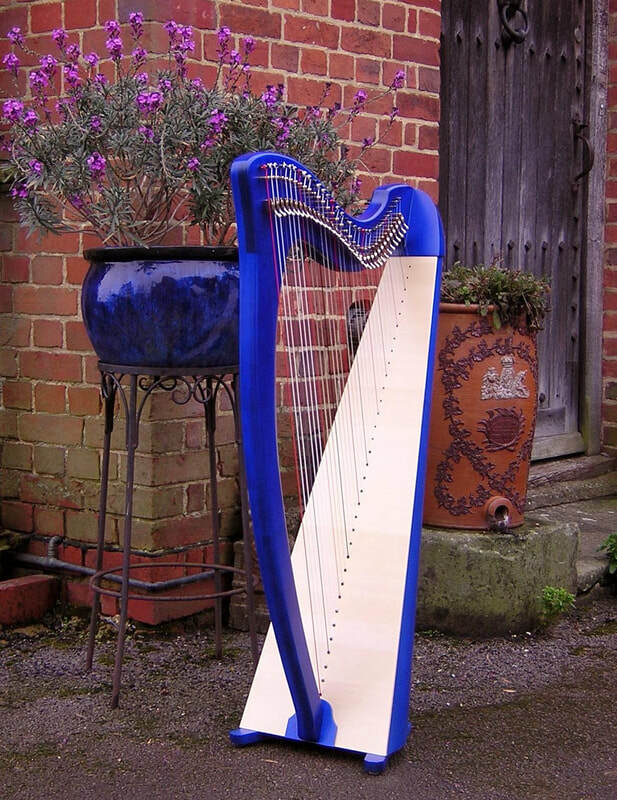 Introduced in 2005, the year Pilgrim's celebrated their 25th anniversary, the Skylark is a balance between fresh, contemporary design and classic Celtic harp style. 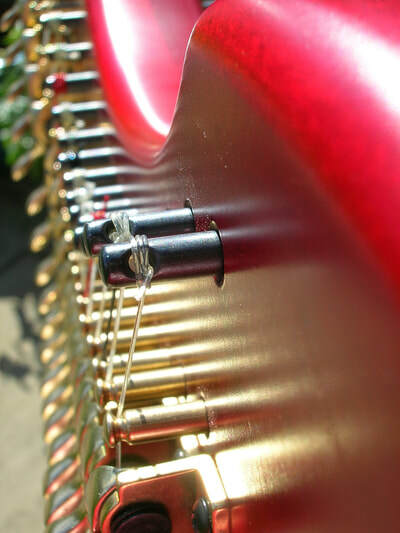 With this design Pilgrim's have been able to dispense with the traditional use of a centre strip and side-strips, so the soundboard is revealed right to the very edge of the body. The shape of the soundboard is extended upwards and on into the knuckle. 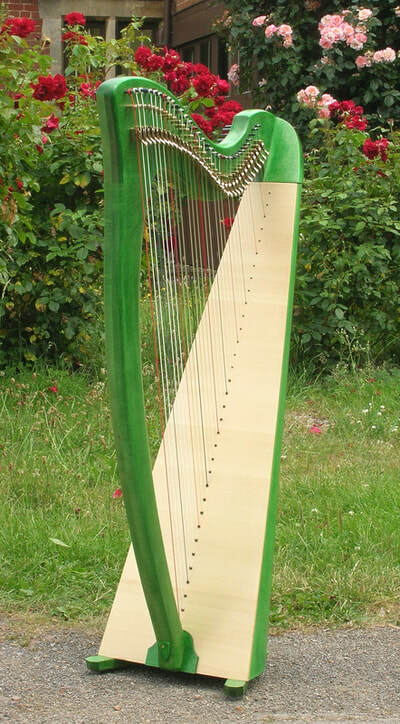 Created using the very finest close-grain Sitka spruce soundboards, solid brass semitone levers and gut strings. 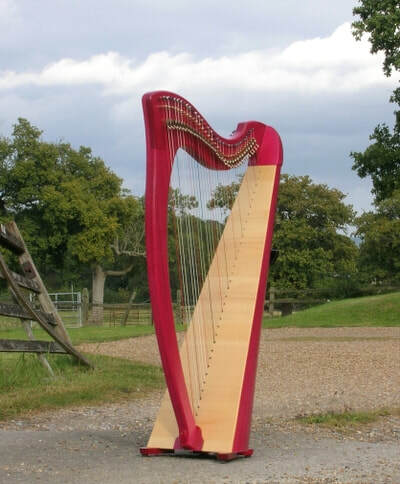 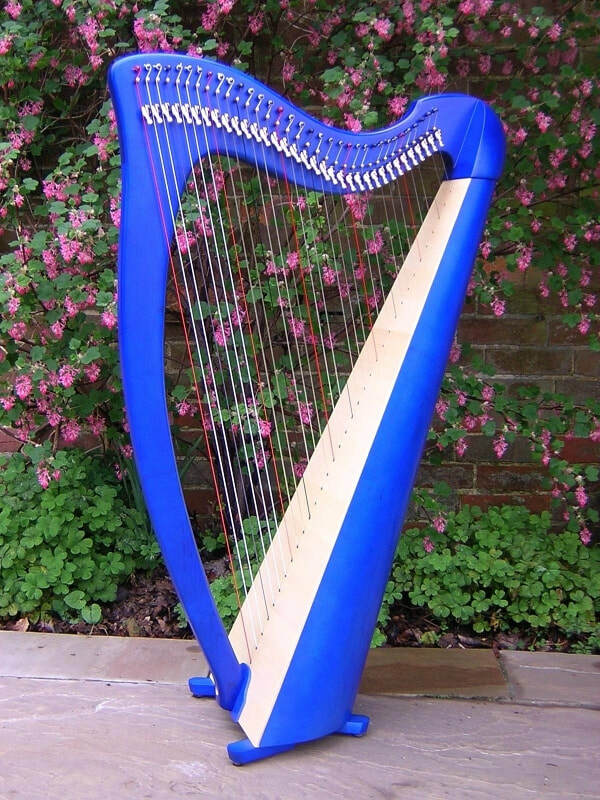 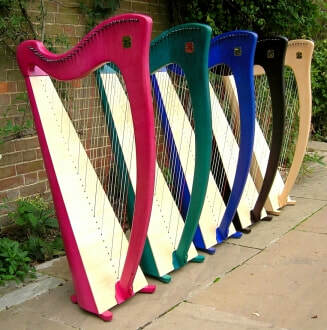 This harp is available in a clear satin finish designed to display the beautiful solid maple, Walnut or Cherry woods or choose from a range of stunning colours. 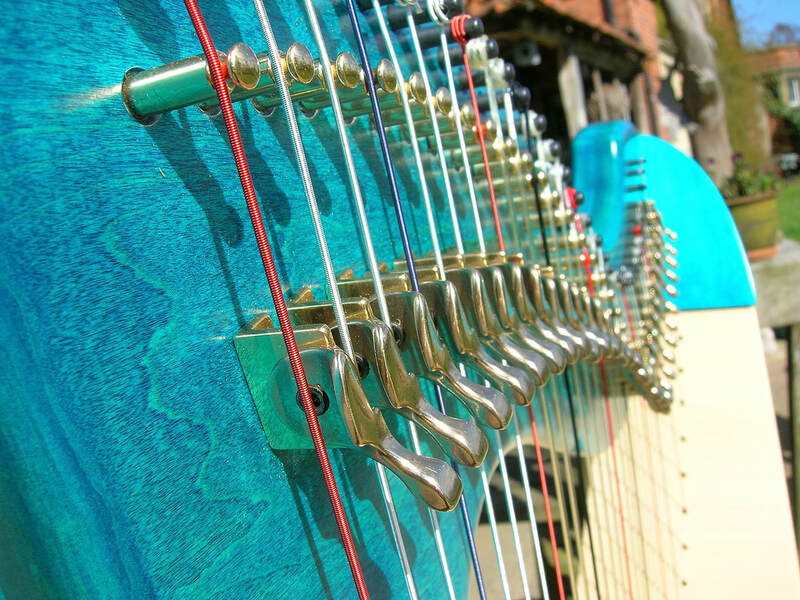 It is not in our nature to compromise the tone, resort to nylon strings, plywood soundboards, use inferior semi-tone levers or cheaper finishes. 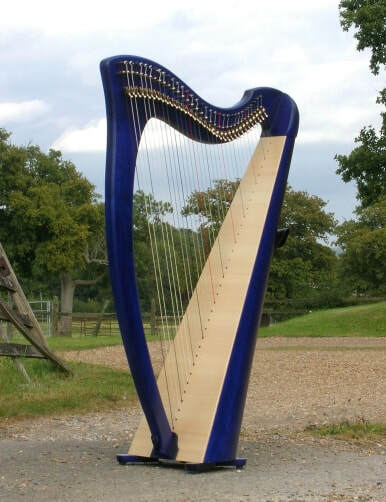 The essence of this harp is simplicity of design, maximum resonance, reliability and ease of use - while the price has been kept to a minimum. “I am so thrilled with my Skylark! 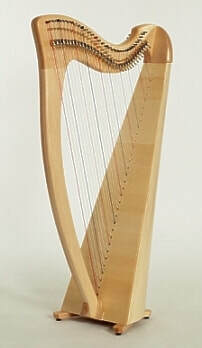 The sound is absolutely wonderful, resonant and clear. 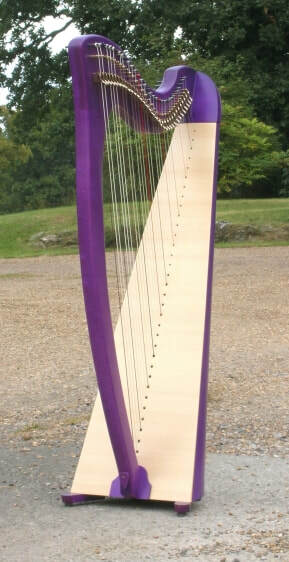 It looks lovely too with its simple, clear-cut lines and beautiful pale wood.